I have been seeing many more quilts made with hexies than ever before. I had always thought of hexies as grandmotherly as they are, of course, very traditional. The hexies I am seeing now however are made from bright solids or modern prints that are fussy cut to highlight the fabric. 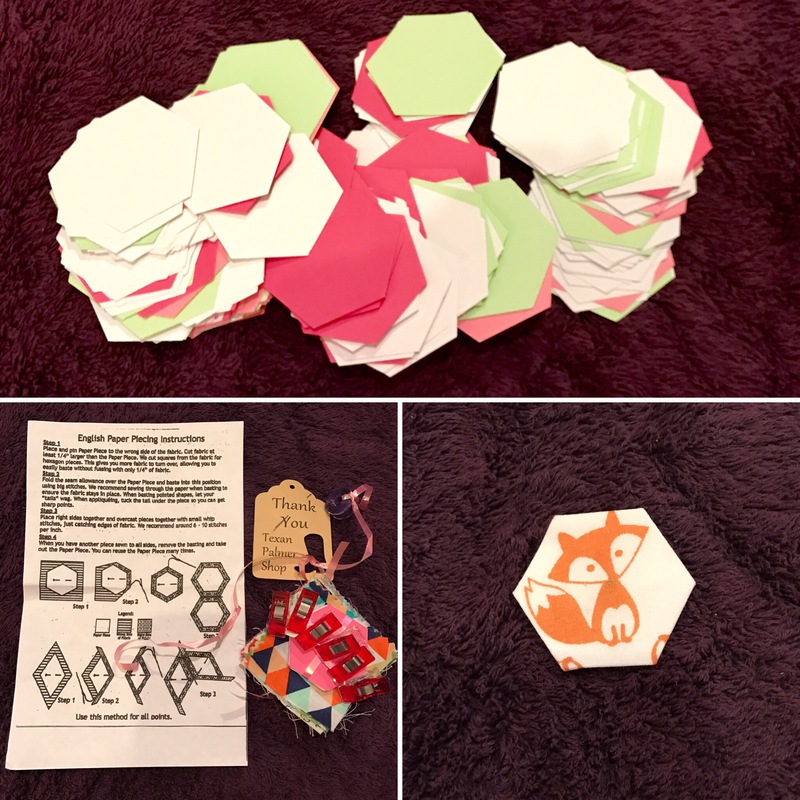 An instragram quilter who has an Etsy shop (search TexanPalmer) sells hexie starter kits for a really reasonable price. I got excited and grabbed the starter kit and a bunch of other shapes. I have been working so much lately and have a ton of travel coming up. It has gotten very difficult to find the 15 minutes of time per day for personal creativity that I seek. I thought this would be a good way to recommit to that. It will be easy to pack a few hexies for the train, or the plane, or before returning to my laptop and then ever ending stream of emails after dinner. Ok. I am off to give this a try.